"For me wearing clothing is not just simply adorning myself with garments. It's a much deeper and much more emotional experience than just buying and wearing." As Chinese street fashion brands are thriving, the YOHOOD event embraced the trend with a designated “Rising China” area, consisting of numerous burgeoning trendy brands in China including Red Charcoal, ATTEMPT and ORIGINAL X YOUTH presenting their masterpieces and unique culture. After a hard week at work, Zhong Yaqin finds herself most at ease putting on an oversized sweater from one of her favorite street fashion brands and chitchatting with friends. A seasoned practitioner in the field of fashion and entertainment, Zhong usually spends at least 10,000 yuan (US$1,462) a month on street fashion brands clothing. “Fashion brands and labels are more than just fancy clothing to me. They symbolize my attitude and lifestyle,” said the 25-year-old Beijing-based TV host. Hasani Arnold, 22, a student and fashion vlogger from New York, is also a fan of street style. Willing to invest a significantly large amount of money on fashion clothing when necessary, Arnold expresses himself through his clothes. Clothing, shoes, accessories… while many people think of these products when it comes to fashion brands and labels, an increasing number of fans and aficionados are illustrating the new concept of street fashion brands — they are not just the way people dress up but the way they live. The sixth edition of three-day global street fashion carnival YOHOOD which was held in Shanghai last week also overthrew the conventional concept of those fashion brands. The notion of new retail has become the new black in the street fashion industry. Rather than just purchasing and selling, people who crave street fashion were provided with everlasting changeable and updated fashionable events, activities and trendy experiences, according to the event’s general manager. Themed “Renew the Rules,” the packed fair created an integrated street wear fair with elements such as street dance, skateboarding, art, culture, gourmet food and a market, where visitors could go shopping, enjoy music, dance and skateboard competitions, engage in workshops and take part in an art exhibition. Having participated in hundreds of offline events by street fashion brands, Zhong, who visits Shanghai frequently, was happy to see this new pattern, which provides a more integrated service for consumers. This trend was fully reflected in the street fashion carnival. From lottery-drawing and a selfie area to lectures and a dance show, every street fashion brand and label booth presented their designated events focusing on interacting with their fans. One of the highlights was the House of Vans, the American skateboarding fashion brand, which brought the audience multiple experiences including tote-bag manufacturing, custom shoe design, well-known bands’ gigs, skateboarding culture an exhibition and several competitions. “Made in China,” once associated with low quality and cheap products, is going through a major transformation as lots of original Chinese street fashion brands mushroom in the country. According to statistics from several market research companies in China, from 2005 to 2013 well-established international trendy brands enjoyed absolute dominance in the field of street fashion industry. Due to factors including the enhanced manufacturing technologies, Chinese brands innovation, Chinese people’s awareness of spreading the national culture, tradition and history as well as the flourishing of street art, “Made in China” is becoming synonymous with original and authentic Chinese street fashion. “China’s street fashion brands are thriving,” said Mars Liang, CEO of YOHO! Group. “I’m impressed by many Chinese street fashion brands with intricate design and high quality,” said fashion editor Peggy Zhao, showing her collected T-shirt from Chinese fashion brand Randomevent with the logo “Bu Zen Me Nice” (not very nice) in Chinese and English. “Many Chinese street fashion brands have good designs, distinct styles and features. Most importantly, I like them because they all have their spirits and spread an attitude of life,” said Zhong, who’s from Wuhan in Hubei Province, and likes to shop in Shanghai while on business trips. 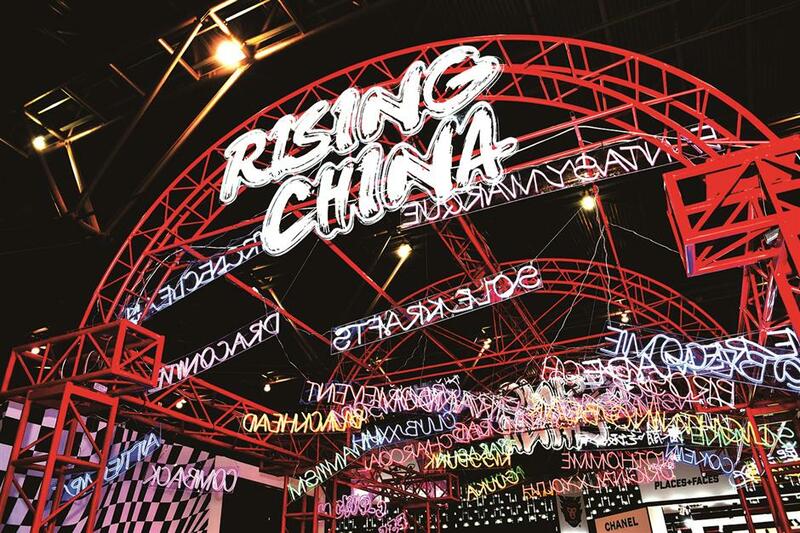 The YOHOOD event embraced the trend with a designated “Rising China” area, consisting of numerous burgeoning trendy brands in China including Red Charcoal, ATTEMPT and ORIGINAL X YOUTH presenting their masterpieces and unique culture. While undergoing a breakthrough, there is still a long way for Chinese fashion brands to entirely change the perception of “Made in China” at home and aboard. Art also plays a key role in the crossover with street fashion. This year, the stylish street wear event gave a boost to the idea that street art and fashion brands are inseparable. The exhibition, collaborating with 62 artists from over 15 countries and more than 250 artworks, explored people’s contemplation of their existence and their relationship with society through street art. “Art is not limited, neither is street fashion,” said David Martinez, art consultant of the exhibition. In the central area of the gallery was a blank wall for a street artist to do improvisational doodles. In the central area of the gallery is a wall for a street artist to do improvisational doodles. Passionate about games, Chinese contemporary artist Shang Liang presented her sculpture “Sofa Men” together with her “Good Hunters” collection, probing into the counterbalance and self-image of human strength. “People can watch and participate in games. I love games as I can acquire an immersive experience through them,” said Shang. 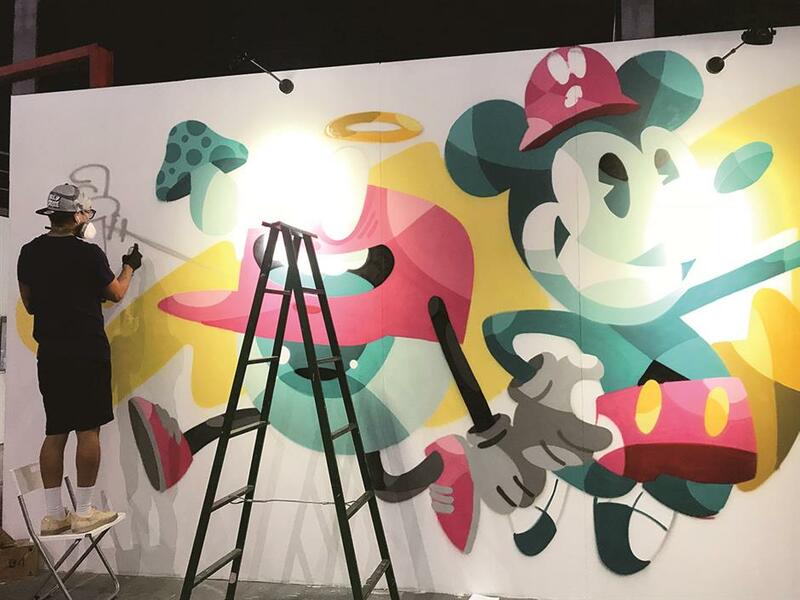 Joining hands with Stash last year for a street art installation named “Crash” at YOHOOD, Singaporean pop-up artist Jahan Loh got involved as a curator and demonstrated his world of skateboarding art with Chinese individual street fashion brand Subcrew. A self-proclaimed rebel as a child, Loh is passionate about skateboarding. He was inspired by his idol, American professional skateboarder Christian Hosoi, and got engaged in street doodling art. From 2005, Loh started to work with street fashion brands and display his works on canvas.